Having success growing watermelons in pots starts before you even plant your watermelon seeds watermelon seeds. Next thing select a container or you can use a cell-pack. If you use a cell-pack get one with a heat mat and use a good soilless mix to start your seeds in. Now, select a container that will be large enough for your watermelon to thrive and grow strong. Watermelons grow fast and require plenty of fresh water, so the best thing to use is a a 5-gallon or even larger size container. Make sure what ever you use has enough drainage holes. Begin to fill the watermelon container or cell-packs with potting soil or other soilless mix. What is a soilless mix, anyways? Is growing items that does not include the use of soil. Instead, plants are grown in a variety of organic and inorganic materials. The plus, for using these materials rather than garden soil allows gardeners to grow healthier plants without the threat of soil-borne diseases. Plants grown in soilless mixes are less likely to be bothered by pests. Some of the most common soilless growing mediums include peat moss, perlite, vermiculite, and sand. Generally, these mediums are mixed together rather than used alone, as each usually provides its own function. Fertilizers are also commonly added to the mix, providing important nutrients. 1. Sphagnum Peat Moss has a coarse texture but is lightweight and sterile. The peat moss promotes adequate aeration and holds water well. But the moss is usually difficult to moisten on its own and is best used with other mediums. This growing medium is ideal for germinating seeds. 2. Perlite is a form of expanded of expanded volcanic rock and is usually white in color. Perlite provides good drainage, is lightweight, and holds air. Perlite should also be mixed with other mediums like peat moss since it does not retain water and will float to the top when plants are watered. 3. Vermiculite is often used with or instead of perlite. This particular form of mica is more compact and, unlike perlite, does well at helping to retain water. On the other hand, vermiculite does not provide as good aeration as does the perlite. 4. Coarse Sand is also used in soilless mixes. Sand improves drainage and aeration but doesn’t retain water. In addition to the above mediums, these other materials, such as bark and coconut coir, can be used. Bark is often added to improve drainage and promote air circulation. Coconut coir is similar to peat moss and works much the same way, only with less mess. When filling your container don’t use dirt from your garden. This will compact quickly in the container and will make growing watermelons in containers difficult. Next, you now need to choose a variety of watermelon that will do well in pots. When planting watermelon in pots, you need to look for a compact variety that grows small fruit. Now that you have selected the watermelons that will grow in your container(s), place the seed into the soil. The seed should be plant 3 times deeper than it is long. You water the seed well. You can also transplant a seedling that has been started indoors into the soil. Whether you are planting seeds or a seedling, make sure that all chances of frost have passed outside. Watermelons are not particularly difficult to grow, but because they are so demanding. I don’t consider watermelons a good plant for beginner gardeners. ( You can get lucky if you live in optimum conditions ). I also don’t consider them a good plant for anyone with restricted space, water, or average soils. But, if you have a large enough container you can grow watermelon. You need to put a lot into a watermelon, and what you get out in terms of nutrition is not a lot. So from a permaculture point of view watermelons wouldn’t be the very first thing to worry about. I get way too many questions about growing watermelons, they are very popular. I grow many different kinds of watermelons myself, so there we go. I hope you enjoy, this is for all of my many readers. If you live in the tropics the dry season, which is winter, is the best watermelon growing season. But, most of us don’t live in the tropics. So here is what we can do. Watermelons do not cope very well with extreme heat or the humid, soggy conditions of our wet season/summer. Fungal diseases and bugs will wipe them out in no time at all. If you live in a cooler climate, then summer is the time to grow watermelon. You do need at the very least three months, up to 100 days, of reliably hot, sunny weather to grow and ripen a watermelon. During that time your average daily maximum temperature should be at least 20 – 25 degrees C. or 70 – 80 degrees F. Warmer is even better. (There are different watermelon varieties, so if you are at the low end of that, look for a faster maturing variety. Grow watermelon in full sun. You also need an abundant supply of good water (rain water if at all possible) and nutrients (good soil). And you need space. As I said before, a rambling vine. They like to go wandering and smother everything around them. Yes, watermelons need hot weather (heat) to develop their sugars. And yes, watermelons need sun-drenched days to produce the rampant vines, that manufacture carbohydrates that sweeten the fruits. But they don’t need endless days of such weather. Plenty of delicious watermelons can be grown in summer starved places from Montana to Maine and into Canada by using varieties that mature in 85 days or less, heating up the soil fast and starting seeds indoors. Even in areas with longer growing seasons, these early birds provide a sweet prelude to the later season favorites. Numerous heirloom watermelons, some brought from Russia, and other varieties developed by cold-climate breeders, mature within the 85 day window and are available early. Smaller fruits and early flowering are traits that set apart watermelons that mature early in the growing season. Watermelons are native to Africa, and the trick to getting the best – quality fruit in cooler climates is to duplicate the continent’s hot sun and sandy soil as best you can. Situate the watermelon garden in a south facing, full – sun area. Because seeds and transplants do nothing until the soil has warmed to at least 60 degrees, use clean or black plastic to heat up the ground. If you want to go a step further using plastic. You can use a clear plastic film over seeds or young plants to generate more heat. Late watermelons can be ripened under plastic. You can use black landscape cloth instead black plastic. The cloth allows the soil to breathe and water to pass through, something plastic does not do. You can use the black plastic on the ground and spun polyester row covers over transplants to give them a fast start. The covers are excellent for controlling cucumber beetles and vine borers, which are the worse watermelon pests. Row covers must be removed when plants start to bloom so that pollinating insects can reach the flowers. Light fluffy soils warm faster than do clay ones. Plus, watermelons love loose, well – drained dirt. You can amend the ground with compost or leaf mold, or a cover crop such as winter rye or hairy vetch the previous fall. Turn it over in the spring a month before you plant. If you are in search of a perfume watermelon? It is the apple – sized ‘Queen Anne’s’ pocket watermelons are the aromatic giants of the watermelon world, redolent with a perfume described best as a mix of ripe cantaloupe, pineapple and a hint of jasmine. This heirloom also is known by the names ‘Plum Granny,’ ‘Dudaim,’ ‘Perfume,’ and ‘Pomegrante.’ It has been around for hundreds of years and was especially favored by the Victorians. Ladies of the era carried them in their pockets and purses as perfume. Although they are attractive in their velvety orange rinds striped in creamy and gold, these watermelons sadly are not gourmet fare. In fact, the creamy white flesh is barely edible, its tasteless and slimy. ‘Tigger‘ is very similar to ‘Queen Anne’s’ in appearance, but it’s three times bigger and even more aromatic. Plus, it’s tasty. Seed catalogs describes ‘Trigger‘ as vibrant yellow with fire-red zigzag stripes. Its white flesh is sweet with a citrus aftertaste. Each watermelon is about one pound, perfect for one or two servings. Plants are prolific, too and watermelons are ripe in about 80 days. 2. Golden Midget: A pink watermelon with a rind that turns golden yellow when fully mature at 75 days. Dr. Elwyn Mender of the University of New Hampshire created this open-pollinated, 6-inch melon in 1959. 3. Blacktail Mountain: Is an extra-early (70 days) melon, sets flavor standard for all watermelons, and the taste is juicy, crunchy and sweet. It’s everything you want from a watermelon. 4. Cream of Saskatchewan: A super-sweet white-fleshed heirloom melon, weighs four to ten pounds and ripens in about 80 days. 5. Jingrai #2: Relative maturity from flowering in 30 days. Round shape its average weight is around 9 pounds. Crispy and pink flesh. Good quality. 6. J7-X-10: Relative maturity days from flowering is 30 days. Has a round shape, average weight is 18 pounds. Is a good shipper and has a good shelf life. Crispy flesh. 7. Beauty Richness: Is a medium nature variety. Relative maturity days from flowering is 32 days. Has a round shape, average weight is 16 pounds. Is tolerant to low temperature. 8 Sweet Beauty: Relative maturity days from flowering is 28 days. Has a round shape, average weight 15.4 pounds. Is a good shipper and shelf life. 9. Sugar Baby: Here is an interesting nugget about Sugar Baby watermelon information is its very high “brix” measurement mean? Commercial watermelon growers value melons high in sugar and the name for the sweetness is called “brix” and can be scientifically measured. As its name implies, Sugar Baby watermelons have a brix measurement of 10.2 and rank as one of the sweetest watermelon cultivars. Sugar Baby melons are round “picnic” or “icebox” watermelons perfect for small families and as the name suggests, small enough to fit into the icebox. They weigh in at between 8 to 10 pounds and are 7-8 inches across. They have either a dark green with slight dark veins or medium green with dark veined rind. The flesh is as mentioned, sweet, red, firm, and crisp with mottled with very few small, tan-black seeds. 10. Crimson Sweet: Large, round melons averaging 25 lb. are light green with dark green stripes. Flesh is dark red, firm and fine-textured. You have 80 days to maturity. 11. Bijou: Has a round shape, weigh 3.5 to 4 pounds. Is a seedless watermelon and is disease resistance. Bijou melons are deep red in color. Days to maturity is 75 days. Has a very high yield and has a 13 to 15 brix level. 12. Captivation: Has a blocky shape. Weight is 14 to 17 pounds; 10 to 11 inches in diameter. This is a seedless melon and is disease resistance. Captivation melons have red flesh, deep-green rind, crimson sweet stripe appearance. You have 80 days to maturity, has a high yield, and brix rating of 12. 13. Kingman: Is round/oval in shape. Weighs 18 to 22 pounds, is seedless. Light green with medium-green stripes, bright-red flesh. Crisp and firm flesh, strong vines, great eating quality, 36-count bins. You have 80 days to maturity and has a high yield. 14. SV0258WA: Has a oblong shape. Weighs 15 to 17 pounds and is seedless. Dark mottle-striped rind, bright-red flesh and is mature in 80 days. 36 to 45 count for bins, strong vine, produces well on weaker soils. Has a very high brix level and has a high yield. 15. Citation: Round/oval in shape. Weighs 10 to 14 pounds/60 count, plus it’s seedless. Medium-green rind with dark-green stripes, deep-red flesh, 76 days to maturity. Reliable free-setting for early crops, excellent early yields, and has a 11 to 11.5 brix level. 16. Cut Above: Round/oval in shape. Weighs 15 to 17 pounds and it’s seedless. Intermediate resistance to Fusarium wilt, gummy stem blight. Bright-red flesh, medium-green rind with green stripes, 80 days to maturity. High yield in all field trials and commercial plantings. Excellent shipping capabilities, has a high brix level. 17. Harvest Moon: Oval in shape. Weighs 8 to 13 pounds and is seedless. Dark-green rind with small yellow markings (“stars”) and large yellow markings (“moons”), and has red flesh. Average of 2 to 3 fruit per plant,has 78 days to maturity. 18. Sweet Polly: This melon is oval/blocky in shape. Weighs 15 to 18 pounds and is seedless. Intermediate resistance to Anthracntose 1, Fusarium wilt 0-1. Has bright red flesh, maturity in 80 days. Very vigorous vine, great shipper with outstanding internal quality. Extremely high yield and has a high brix level. 19. Traveler: This melon is blocky in shape. Weighs 15 to 20 pounds, and is seedless. High resistance to anthracnose caused by Colletotrichum orbiculare race 1. Is deep-red in color, has 76 days to maturity. Has hollow heart tolerances, displays adataptability in adverse conditions, good uniformity. Has a high yield, its brix level is 11 to 12%. 20. Triple Treat: Is round in shape. Weighs 8 to 10 pounds, 12 to 13 inches in diameter, is a seedless melon. Red in color, 70 days to maturity. Ice box type and has a 14 brix level. Be seed savvy. Check out several different seed companies and compare seeds with what you may have in mind to plant. Keep an open mind, you may find something that really catches your eye. Also check out some local companies. Make a list of what you’d like to grow. A good rule-of-thumb is to imagine your garden one-quarter the size that it really is. This allows for good spacing practices! Prepare for some losses. Though it’s good not to plant too much for your garden space, it’s also good to assume that some of your seeds won’t germinate, or that they will inexplicably die off later. Plane a few extra, just in case. Don’t start your seeds too early, especially tomatoes. Most annual flowers and vegetables should be sown indoors about 6 weeks before the last frost in your area. Check out a planting calendar to see when to start seeds (indoors and outdoors) in your area. You may have to soak, scratch, or chill seeds before planting as directed on packet. Use clean containers. Most seed companies offer seedling flats, peat pots, and other growing containers, but egg carton compartments make good containers, too. Be sure to poke holes in the sides near the bottom of the containers you use in order to allow excess water to drain. Fill clean containers with a potting mix made for seedlings. Use soil less peat moss and mix in equal parts vermiculite and perlite to hold enough water and allow oxygen to flow. Don’t use regular potting soil. Pour soil less mix into a large bucket and moisten with warm water. Fill your containers to just below the rim. Moving is one of life’s most stressful events. Imagine how trying it would to move from a perfect climate where it’s always 70 degrees, calm and sunny, to a harsh and windy climate where it gets really cold at night and the sun is burning hot during the day. Put yourself in your seedlings shoes. If you had to move from San Diego to Montana, wouldn’t you want some time to adjust? The author of ‘Grocery Gardening’, Jean Ann Van Krevelen, said you shouldn’t skip the step of hardening-off your seedlings. Young plants may not make it if planted directly into your garden with out a transition. “When seedlings are grown inside in a controlled climate, they don’t have the opportunity to develop the strength and structure to live out in the elements. They need to get acclimated to their new home, “ said Van Krevelen. To harden off your seedlings, gradually introduce them to the outdoors. It helps to store your seedlings in trays, at this point, to make transporting the plants easier. “Take your seedlings to a protected location outside for one hour for the first day,” she said, “Do this each day for a week. Add one hour for each day of the process. By the end of the week, you’ll be at 7 hours and the plants will be ready to be transplanted,” While inside, seedling stems haven’t been exposed to winds. Plants, like us, need to start our workouts and gradually increase the intensity to become strong. So early on in the hardening off process, provide seedlings shelter. “Don’t put them in direct sun. Don’t put them in a windy location. Keep in mind, they are just babies,“ said Van Krevelen. If you want to help your plants beef-up early, you can add a fan to the area where you are storing your seedlings. Use the fan to gently move the air. Too much direct breeze from a fan could dry out the seedlings and do the same damage wind would in the garden. Gardeners have different approaches to the watering aspect of the hardening off process. Van Krevelen keeps her seedlings evenly moist from grow light to garden. “Provide consistent moisture. Seedlings are susceptible to any extreme until they are established,” she said. Horticulturalist Erica Shaffer agrees. “Don’t send your babies into the big, bad world of your garden thirsty and hungry,” she said. Good gardeners aren’t perfect. And the process of hardening off doesn’t have to be executed perfectly or uniformly to be highly successful. If you forget to take your plants out one morning before work, just start back up the next day. If the spot you chose for them becomes too sunny as the day went on, all is not lost. Plants are a forgiving lot and will hang in with you as long as you give them a little attention. There is a bit of hassle involved in schlepping the plants outdoors and back in again each day over a week. But after gently caring for your baby plants for weeks, the added effort is good insurance that your plants will leave your nest safely and do well in your garden. After all, don’t you want to shield every thing you love from unnecessary stress? Before transplanting seedlings to your garden, you’ll first need to do something called “hardening off” (see about for how to harden off your seedlings. This will prepare the seedlings for the harsh realities (i.e., climate) of the outside world! Watermelons are grown from seed. You may be tempted to use seed out of a melon you bought, but don’t waste your time. It is almost guaranteed to be a hybrid. Buy your seed, and if possible buy an open pollinated heirloom variety. Because then you CAN use your own seed next year. The open pollinated varieties are also hardier. You will find a lot more interesting varieties amongst the heirlooms then you can find in the standard collection of you local gardening center. Unless you have an extremely short growing season, do NOT start your watermelon seed in a pot or punnet. Do NOT buy watermelon seedlings from a nursery. Amend soil with aged manure, seaweed, and/or compost before planting. Watermelon seed germinates easily and quickly, within a few days. Watermelon plants outgrow the seedling stage very quickly, and they don’t like transplanting. You don’t save much time and you end up with a weaker plant. Watermelons need a lot of space, so make sure the watermelon patch isn’t near other crops or planted too closely together. Vines are often up to 20 feet in length. As with any vine crop, these tendrils will attach to anything that is nearby, so as an extra bit of caution, try to plant other viney crops such as legumes and grapes away from the watermelon patch. Even if watermelons are the only crops planted, try to give these crops a lot of open space. It is nearly impossible to keep watermelons inside. Even in a sophisticated hydroponic setup, you run risk of watermelons outgrowing their bounds. Lots of organic matter such as compost or composted cow manure should be included within soils. Organic is best as watermelons will get a greater variety and quality of nutrients than synthetic fertilizers. Aim to balance nutrients if possible, but plant to biofertilize with nitrogen. Blue-green algae or soils that have previously been home to legumes are a great way to ensure that watermelons are getting the appropriate amount of nitrogen. A word about weeds: when watermelons start to display vines it is imperative to keep weeds at bay through shallow hoeing or via a mulch layer. A mound or ridge is free draining (melons don’t like wet feet). If you have heavy clay soil, definitely raise the bed. Mounds are also good if the soil is as poor as mine. I just make a mound of good soil with lots of compost in it to grow watermelons. Sometimes I plant them in what’s left over from a compost pile after I used most of the compost. If you like growing things in neat rows, or if you want to plant a large area, grow watermelons on ridges, like the commercial growers do. If you’re growing in rows, space 6 feet by 6 feet apart. Watermelons like loamy, well-drained soil. Handle them gently when you transplant. After you transplant, cover the plants with row covers to keep pests at bay. You’ll remove the row covers when you see both male and female flowers on the vine. I prefer growing watermelons in clumps on a mound, in several different locations in the garden. (Mixing things up helps keeping pests and diseases at bay.) If you want several hills together, keep them about 2 m apart. The mound should be about one metre square and a foot high. Then I plant about ten seeds in it, in three groups of three to four seeds each. The groups are spaced about a foot apart (30 cm). Mulching with black plastic will serve multiple purposes: it will warm the soil, hinder weed growth, and keep developing fruits clean. Slugs and other seedling chomping critters like mulch and they like watermelons. Wait until the watermelons have outgrown the most vulnerable stage (where a slug can demolish them within minutes). Then mulch the area well. Keep soil moist, but not waterlogged. Water at the vine’s base in the morning, and try to avoid wetting the leaves and avoid overhead watering. Reduce watering once fruit are growing. Dry weather produces the sweetest melon. Watermelons have very shallow roots and they need lots of moisture. The soil should never dry out, and mulch helps with that. Watering is very important—from planting until fruit begins to form. While melon plants are growing, blooming, and setting fruit, they need 1 to 2 inches of water per week. A word about weeds: when watermelons start to display vines it is imperative to keep weeds at bay through shallow hoeing or via a mulch layer. Mulch also keeps weeds down. Weeding could disturb the shallow roots, so it’s better to not let them grow to start with. Lots of organic matter such as compost or composted cow manure should be included within soils. Organic is best as watermelons will get a greater variety and quality of nutrients than synthetic fertilizers. Aim to balance nutrients if possible, but plant to biofertilize with nitrogen. Blue-green algae or soils that have previously been home to legumes are a great way to ensure that watermelons are getting the appropriate amount of nitrogen. If you choose to fertilize (and many do), make sure it delivers more nitrogen than phosphorus and potassium. However, after flowering begins, use a fertilizer with less nitrogen. We like to use liquid seaweed. When the vines are about 6 and a half feet long, pinch out the tips. It encourages branching. Watermelons need a lot of space, so make sure the watermelon patch isn’t near other crops or planted too closely together. Vines are often up to 20 feet in length. As with any vine crop, these tendrils will attach to anything that is nearby, so as an extra bit of caution, try to plant other viney crops such as legumes and grapes away from the watermelon patch. Even if watermelons are the only crops planted, try to give these crops a lot of open space. It is nearly impossible to keep watermelons inside. Even in a sophisticated hydroponic setup, you run risk of watermelons outgrowing their bounds. As your watermelon vines grow bigger they will start trying to take over more space. If they start to smother other things you can remind them about sticking to their area by gently moving the tips of the vines, so they grow into the right direction. Pruning isn’t necessary, but vine productivity may be improved if you do not allow lateral (side) vines to grow and stick to the main vine. When the plant is young, just cut off the end buds as they form (before the side shoots become vines). You can also pinch off some blossoms to focus the energy on fewer melons (though it’s a challenge to kill off a potential fruit). The smaller male flowers appear first. The female flowers are much larger (see the photo) and you can’t miss them. Blossoms require pollination to set fruit, so be kind to the bees! If you don’t see any it could have several reasons: too hot, too cold, not enough water, not enough nutrients… In any way, it means the watermelon plant isn’t happy. If the plant does produce female flowers but the little fruit at the base of it shrivels up and dies, then the flowers are not getting pollinated. Watermelon flowers are insect pollinated. If you suspect the insects aren’t doing their job, you can do it yourself, just to be sure. Hand pollination is best done early in the morning. Pull off a few male flowers and remove the flower petals. Then brush the pollen laden stamen against the stigma in the centre of the female flower, so the pollen sticks to it. Easy. The first few female flowers on each branch will give you the best fruit. To grow them as large as possible you can pinch out the tip of the branch after a couple of fruits have set (are starting to swell up). As fruit is ripening, prevent rotting by gently lifting it and putting cardboard or straw between the fruit and the soil. Watermelons are vulnerable to cucumber beetles and vine borers. These are easily controlled through insecticides such as Sevin or use of Bacillus thuringensis, if one prefers an organic approach. Once again, organic management is healthier for the crop and soil in the long-term. It is also possible to prevent infections through floating row covers, but should be removed before pollinating insects start to reach flowers. The biggest watermelon pest are the leaf eating beetles (they damage the flowers, too) like spotted and striped cucumber beetles, pumpkin beetles with or without dots, whatever you want to call them. However, if they become a real problem it is mainly a sign that your watermelons are stressed. Anthracnose is a general term for a variety of diseases that affect plants in similar ways. Anthracnose is especially known for the damage that it can cause to trees. Anthracnose is caused by a fungus, and among vegetables, it attacks cucurbits. The first time we had this Asian coleslaw was at a family gathering. My aunt fixed it and it was all gone in a matter of a few minutes. We enjoyed the coleslaw so much we had to have the recipe. This recipe has a great deal of different flavors, and crunch. The ingredients come together and makes a sweet – tangy slaw. The cabbage is very crispy and bunches and bunches of crunch. The toasted almonds and Ramen noodles just adds to the flavor of the dish. Since the first time my wife and i tried this recipe, we have enjoyed this Asian coleslaw more and more. We have our whole family wanting and enjoying this dish more and more. The first few times we made this dish we do not make enough. Now when we make it we make enough to have leftovers. Which is great for me, because i love leftovers. This is a healthy dish as well, it’s good to help with weigh loss also. If you like you can add beef, chicken, and even pork for a totally different twist. This recipe tastes good no matter how you prepare it. This recipe has a great deal of different flavors, and crunch. All of the ingredients come together and makes a sweet – tangy slaw. The cabbage is very crispy and crunch in this recipe. 2 packages chicken flavored soup mix Ramen Noodles soup mix. Set aside chicken seasoning. Toast almonds and sesame seeds on pans , in the oven at 350 degrees F. for about 10 – 15 minutes for almonds, then 10 minutes for sesame seeds ( gently turning over ever 5 minutes for evenness ) cook until they have a nice golden color. Crunch up the Ramen Noodles to separate them. Use a ziploc bag and meat mallet or a coffee mug. Empty the Ramen Noodles into a large bowl . Add coleslaw mix chopped onion, almonds, and sesame seeds. Toss gently to mix. Mix together dressing ingredients with a small whisk. Pour over coleslaw mixture and toss to coat. Refrigerate until ready to service. Half the total of the oil. Which would be 1/4 cup sesame oil: For a better flavor, let it sit for several hours or overnight. I use homegrown cabbage, tastes better to me. I use two pie plates for keeping the almonds and sesame seeds separate. They work great for not spilling them and making a mess. Keep a close eye on almonds and sesame seeds, so as not to burn them. I hope you enjoy this Asian Dish. Please let me know what you think. So please leave a comment. Rosemary is a woody, perennial herb with fragrant, evergreen, needle-like leaves and white, pink, purple, or blue flowers. Is a fragrant shrubby Mediterranean mint plant. It is a member of the mint family. The leaves are used as a flavoring in foods such as stuffings and roast lamb, pork, chicken and turkey. This is an easy chicken pita recipe. If you like with this recipe you can have grilled chicken pita, which tastes pretty good. You could also have chicken pita sandwiches if you like. This is a very simple pita recipe. I think you will enjoy this recipe. So let me know if you liked or disliked this chicken pita dish. If you have a favorite pita or chicken pita recipe let me know what it is. Cover the chicken with cold water in a saucepan and add 1 teaspoon salt. Remove strips of zest from half of the orange with a vegetable peeler; add the zest to the water. Cover and bring to a boil over high heat, then reduce the heat to medium-low and simmer, uncovered, until the chicken is cooked through, about 18 minutes. Remove the chicken and let cool. Grate the remaining orange zest into a large bowl; juice the orange into the bowl. Stir the mayonnaise, sour cream, mustard, celery, nuts, chives, poppy seeds, 1/2 teaspoon salt, and pepper to taste. Add the apricots, if desired. Shred the chicken, discarding the bones and skin, and toss with the dressing. Stuff a few lettuce leaves and some of the chicken salad into each pita. Tomorrow is Easter and I was thinking about cooking a ham in the oven. Today we are going to prepare a honey glazed ham. This is a simple honey glazed ham. We are going to have baked honey glazed ham. Everyone enjoys a good cooked ham dinner on Easter, I know I do. Let me know what you think about this glazed ham recipe. If you have a favorite glazed ham recipe let me know what it is. Preheat oven to 325º F. Place ham in a roasting pan. Today we will prepare this tasty seared scallops. If you look can find many seared scallops recipes. This is a simple seared scallops dish, that anyone can cook. I hope that you are happy with this recipe once you have prepared it. So let me know what you think of this seared scallops recipe. If you have a favorite scallops recipe let me know what it is. In bowl, stir in capers, parsley, shallots, sherry vinegar, Dijon mustard, and sugar; season. In nonstick skillet, heat vegetable oil over medium-high. Season scallops; cook until browned, about 2 minutes per side. Top with vinaigrette. Today we are going to cook a plate of red wine bbq chicken. This is a good comfort food to start the week off with. This is one of many bbq chicken recipes. If you like you can have bbq chicken breast, and not the bbq chicken legs. I think you will enjoy either the legs or the breast in bbq. Do you like this dish? Let me know what you think. Preheat the oven to 425º. Line a large rimmed baking sheet with foil and put a baking rack on it. Season the chicken with salt and pepper and put on the rack. Roast for 15 minutes, until the skin is lightly browned. Brush the chicken with some of the sauce and roast for 40 minutes longer, turning and basting every 10 minutes, until nicely glazed and an instant-read thermometer inserted in the thickest piece registers 165º. Transfer to a platter and serve. Let’s try a Mexican chicken quesadilla recipe today. This chicken quesadilla recipe is very simple and easy to prepare. I love a cheese chicken quesadilla. You can make then spicy or not not spicy at-all, it’s up to you. Let me know what you think of this recipe. If you have a favorite quesadilla recipe let me know. Combine chicken, cheese, green onion, cilantro and chili powder in medium bowl; mix well. Spoon half of mixture onto each of 2 tortillas; top each with 1/2 cup spinach and remaining tortilla. Heat large nonstick skill over medium-high heat; coat with nonstick cooking spray. Add 1 quesadilla; cook 2 minutes per side or until lightly browned and cheese melts. Repeat with remaining quesadilla. Cut into wedges and serve with salsa. This is a simple classic Italian pasta recipe. With this recipe you can add about anything you like too make this pasta primavera. I like this simple pasta primavera recipe. You can also add seafood to this dish for seafood pasta primavera. Pasta primavera is a dish that consists of pasta and fresh vegetables. You can add beef, lamb, seafood, chicken, veal and pork to this dish. Make sure not to overcook the pasta; you need the chewy bite to stand up to the gently cooked vegetables. Let me know what you think of this pasta dish. Also if you have a favorite pasta recipe let me know what it is. Today we are going to prepare some fried quail.That sounds good does it? So i said lets think of some recipes for fried quail. So i came up with quail schnitzel. If you have a favorite wild game recipe let me know what it is. Brine the quail: Combine the brown sugar, salt, lager, rosemary, juniper berries, and chile flakes in a pot with 1/2 gallon of water. Bring to a boil, then turn off the heat and let the brine cool completely. Submerge the quail with a small bowl on top to keep them under the brine. Marinate for up to 2 hours. Prepare the vinaigrette: Whisk together the honey and apple cider vinegar and then, while whisking, add the olive oil in a thin steady stream until incorporated. Season with salt and pepper. Make the dredging mixture by combining 1 cup flour with the cornflakes, breadcrumbs, and spices in a food processor. Pulse the mixture until it’s still a little crumbly. Set up a dredging station by arranging three containers close to the stovetop, one each for the additional flour, buttermilk, and dredging mixture. Bring about an inch of oil to roughly 325 degrees F. in a Dutch oven or deep skillet. Drain the quail and dry them thoroughly with paper towels. Take each quail and dip it into the flour, coating it thoroughly but shaking off any excess. Dip the birds into the buttermilk, then dredge them in the cornflake mixture, making sure each is completely coated. Lower the quail into the oil and cook them, turning with tongs as needed, until crispy and golden, about 4 minutes per side. When done, remove them to a paper towel and season with salt and pepper. Plate the meal: Place some apple salad on each plate and top with two quail. As a finishing touch, drizzle maple syrup evenly over the dish and serve. Today, i though we would cook some pork chops. After the chops are cooked they are very tender pork chops. With this recipe you can use boneless pork chops or bone-in pork chops. This is a real easy recipe to prepare. You need to give this pork chops recipe a try, you will enjoy this simply recipe anytime of the year. If you have a favorite pork chop recipe let me know what it is. Place water in microwave-safe cup; microwave on high 1-2 minutes or until hot. Add saffron and let stand 1 minute. Zest/grate lemon peel (no white; 1 teaspoon). Place pork in bag. Combine in medium bowl: yogurt, garlic, zest, and saffron mixture; whisk until blended (reserve 1/2 cup for later use). Transfer remaining mixture to bag with pork; knead bag to coat pork. Let stand 30 minutes to marinate (or marinate overnight in refrigerator). Preheat large, nonstick saute pan on medium-high 2-3 minutes. Combine remaining ingredients (except oil) in shallow bowl. Place oil in pan. Remove pork chops, one at a time, from bag; dip pork into flour mixture (coating both sides) and press with fingertips to evenly coat. Place pork chops in pan; cook 3-5 minutes on each side until browned and pork is 145 degrees F. Drain pork chops on paper towels. Serve with reserved sauce on the side. Cut across carrots to make 1/2-inch cubes (dice). Preheat medium saucepan on medium 2-3 minutes. Place oil in pan, then add rice and carrots, cook and stir 1 minute. Stir in cranberries and stock. Bring rice to a boil. Reduce heat to low; cover and simmer 18-20 minutes or until liquid is absorbed and rice is tender. Rosmarinus Officinalis, also known as rosemary, is a woody, perennial herb with fragrant, evergreen, needle-like leaves and white, pink, purple, or blue flowers, native to the Mediterranean region. It is a member of the mint family Lamiaceae, which includes many other herbs. The name “rosemary” derives from the Latin for “dew” and “sea” or “dew of the sea”. Rosemary has a fibrous root system. Historically used for strengthening the memory, is unforgettable. Rosemary is used as a decorative plant in gardens where it may have pest control effects. The leaves are used to flavor various foods, such as stuffings and roast meats. You can use with cheese, duck, eggs, lamb, partridge, poultry, seafood, tomatoes, veal and vegetables. It has a strong,aromatic flavor. Fresh or dried leaves are used in traditional Mediterranean cuisine. They have a bitter, astringent taste and a characteristic aroma which complements many cooked foods. Herbal tea can be made from the leaves. When roasted with meats or vegetables, the leaves impart a mustard-like aroma with an additional fragrance of charred wood compatible with barbecued foods. Here’s a quick tip, quickly rinse rosemary under cool running water and pat dry. Most recipes call for rosemary leaves, which can be easily removed from the stem. Alternatively, you can add the whole sprig to season soups, stews and meat dishes, then simply remove it before serving. I was thinking with us still being in the winter season. Why not look at Italian Soups. So lets look at easy Italian soup recipes. 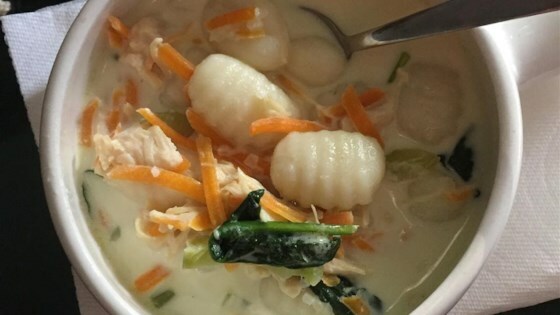 Can also try popular Italian soups, so i though of this classic Italian soup Italian Gnocchi Soup. This recipe is so easy it’s funny. This recipe is for all level of cooks. If you have another Italian soup recipe you like please let me know what it is. So let’s get started! In saucepan, cook onion and carrots in oil over medium-high until tender, about 8 minutes. Stir in seasoning, then stock; simmer 15 minutes, stirring gnocchi and spinach into soup during last 2 minutes of cooking. In nonstick skillet, crisp pancetta over medium, stirring about 8 minutes. Top soup with pancetta. What better time to have a hot drink, or hot toddies. With most of the U. S. in a cold snap.This hot cider cocktail will hit the spot every time. This is an easy hot cider cocktail recipe. Do you have a favorite hot toddy? If so let us know what is it. We’ll be more than happy to post it for you. 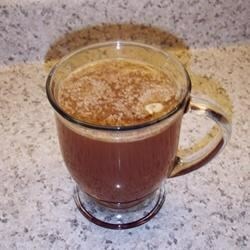 Combine amaretto, warm cider, and bitters in an Irish coffee mug or regular coffee mug. Top with fresh whipped cream and caramel sauce. Prepare an ice bath. Bring the cream to a boil in a saucepan over medium heat. Remove from the heat. Combine the sugar and corn syrup in a heavy saucepan over low heat and stir until the sugar dissolves. Slowly cook to a golden brown without stirring, 8 to 9 minutes. Remove from the heat and put the saucepan in the ice bath for 20 seconds to stop the cooking. Remove from the ice bath and stir in the butter. Carefully stir in the hot cream, mixing until fully blended. To store the caramel sauce, transfer it to a clean bowl or jar, cover tightly, and refrigerate for up to 2 weeks. Reheat the sauce over low heat or in the microwave before serving. Chill a stainless-steel bowl and the beaters of a handheld mixer, the whisk attachment of a stand mixer, or a balloon whisk. Pour the cream into the chilled bowl and whisk on medium speed until thickened, about 3 minutes. Increase the speed to high and gradually add the confectioner’s sugar while whipping. Add the vanilla extract and continue to whip until the cream has the desired peak according to its intended use. Soft peaks are good for dolloping cream, while firmer peaks are better if the cream is to be piped, used for topping, or folded into another mixture. Note: If your cream starts to turn slightly yellow while you are whipping, it is close to being over whipped and turning into butter. Fold in a small amount of unwhipped cream, if you have it, to rescue the texture. Bourbon and coke is as southern as grits, maybe more, it’s who you ask. When i was younger i drank a lot of bourbon and coke. Bourbon and coke is very popular with young drinkers because the strength and acquired taste of the whiskey is drowned in the ten ounces of cola. This cocktail gives you the alcoholic kick without a lot of the whiskey flavor. A lot of adults and sophisticated drinkers enjoy it too, however, because it slows down your consumption of alcohol and rehydrates you as well. For many people, fall means one thing: football. This also means it’s time to start planning for the best part of football season, which is of course tailgating. So to kick off the season for your tailgating party, here’s a spin on your bourbon and coke. This cocktail is incredibly easy to make in advance and bring to the tailgate. This cocktail is perfect for Saturdays or Sundays in the fall. Bourbon and coke is a cocktail made with bourbon and coke. The drink is usually served with ice in an old-fashioned glass or a Colins glass. What is your favorite cocktail? Just let me know and i will write about it later. To make the syrup, bring the Coke to a simmer in a very small saucepan. Add sugar and stir until dissolved. Allow to cool, then refrigerate until ready to use. To make the cocktail, combine bourbon, syrup, and bitters in a cocktail shaker with ice. Shake vigorously, then strain into a cocktail glass. Garnish with lemon twist and serve. Summer is slowly winding down, and fall is right around the corner. I though we could look at having a nice cocktail for dinner. We are having a simple mojito recipe for our mixed drink. 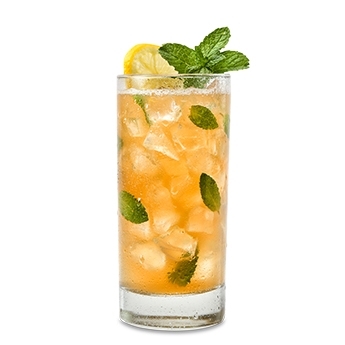 Mango mint tea mojito, is a refreshing combination of two delightful flavors in this fruity mango tea with just the right amount of mint. We also tried flexoffers with our drinks. Tear mint leaves and add to a tall glass over ice. Pour remaining ingredients, stir and serve with lemon wheel and mint. I hope everyone is having a great start to the summer? I thought we could to some slow smoking today. I think just about everyone loves a good cooked pork shoulder. I love smoking pork shoulder it’s an all-day event. But it’s well worth it you can not beat the taste. Their are many good smoked pork shoulder recipes out there. But the one i’m using today i like a lot. Hopefully your like it as well. You need to plan smoking this only if you have a full day. After you have tried this recipe let me know what you think. If you have a favorite pork shoulder recipe let me know what it is. I hope everyone has their cooking shorts on, ,lets get cooking! Remove bone from whole pork shoulder. Thoroughly rub both inside and outside with the hog rub and the yard bird seasoning. Tie shoulder back together with a cotton string or place in stuffing net. Cook for 5 hours unwrapped at 225 degrees F., then wrap tight with foil and cook additional 6 to 7 hours at 200 degrees to 225 degrees F.
Pour off meat drippings and cut off net. Slice and serve.